8 February 2019 – A group of 19 Parliamentarians from all parties have urged the UK Foreign Secretary Rt Hon Jeremy Hunt MP to call for the “immediate and unconditional release” of Bahraini leading rights defender, Nabeel Rajab, in a letter sent on 4 February. This followed the decision made by the highest court in Bahrain on 31 December 2018 to uphold his five-year sentence for tweeting. 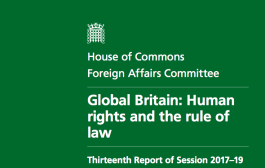 In the letter, the MPs expressed concern that the Foreign and Commonwealth Office (FCO)’s response into the case “has thus far been inadequate” as it is “a repetition of the responses to cases of human rights abuse that we are now becoming increasingly accustomed to hearing”. Given the strong consensus of the international community in condemning Nabeel’s sentencing for peacefully expressing his opinion, including by the UN, the EU and the US, the MPs urged the UK Government to “[follow] their initiative” and call for his release. 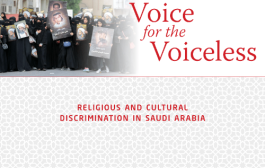 They also urged the Minister to “suspend the funding of the technical assistance programme” to Bahrain, “until the human rights situation improves, as it appears that the programme is failing to have any meaningful impact”. 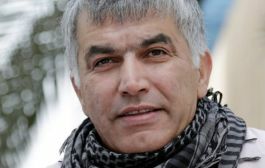 Earlier this month, Foreign Policy magazine listed Nabeel Rajab in their Global Thinkers list for 2019. Nabeel was sentenced on 21 February 2018 for critical comments he made on Twitter regarding the war in Yemen and for exposing the torture in Bahrain’s Jau Prison. In August 2018, the United Nations Working Group on Arbitrary Detention declared Nabeel’s imprisonment to be unlawful and arbitrary. We are writing to express our condemnation for the decision made by the highest court in Bahrain to uphold the five-year sentence of leading human rights defender Nabeel Rajab on 31 December 2018. While we note the statement issued by the Foreign and Commonwealth Office (FCO), courtesy of Minister Alistair Burt, we urge the UK government to strengthen its condemnation of the decision and to use every diplomatic means at its disposal to secure Mr Rajab’s immediate and unconditional release. Given the high-profile nature of Mr Rajab’s incarceration, we have deemed it appropriate to make this letter open to the public. 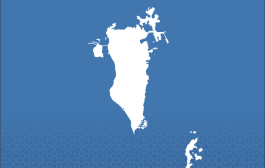 Mr Rajab was originally sentenced on 21 February 2018 for critical comments made on Twitter regarding the Saudi-led coalition’s bombing of Yemen and the torture rife in Bahrain’s notorious Jau Prison. There is a strong consensus among the international community that Mr Rajab has been imprisoned for nothing more than exercising his right to freedom of expression. Last August, the United Nations Working Group on Arbitrary Detention declared Mr Rajab’s imprisonment to be unlawful and arbitrary. We are confident that your office is aware that this is not the first indictment Mr Rajab has faced for his human rights work; he has already served his two year sentence for charges relating to free speech. The FCO’s response has thus far been inadequate; Minister Burt’s statement is a repetition of the responses to cases of human rights abuse that we are now becoming increasingly accustomed to hearing. The family of Mr Rajab have expressed disdain for the UK government’s response, suggesting that they are of the opinion that the FCO is not taking the issue seriously. The recent verdict indicates that raising mere concerns is futile; more is needed to enact real change. This is particularly concerning given that the government has provided millions of pounds of funding to train Bahrain’s oversight bodies over the past seven years. If the country’s leading human rights defender is convicted for tweeting, then the UK government must reconsider the value of its training. You have shown that you are willing to take a strong stance in relation to human rights abuses committed by Gulf countries. Only a few months ago, you spoke of the importance of the ability to “expose failures and criticise the mighty” to defend against “corruption and arbitrary state power”. With the murder of Jamal Khashoggi, you demonstrated your commitment to human rights by declaring the unclear circumstances of his murder “unacceptable” ahead of your visit to Riyadh in November. Meanwhile, the UK government demonstrated its capability with regards to the case of Matthew Hedges. Evidently, the UK chose to apply pressure to secure the release of Mr Hedges, thereby proving that the FCO can be effective and achieve its goals. The Spokesperson for the UN High Commissioner for Human Rights issued a statement calling for Mr Rajab’s immediate and unconditional release. The European Union also reiterated their call for the release of Mr Rajab, having extensively detailed their concerns in the summer in a resolution adopted by the European Parliament. Prior to his sentencing in February, the US government urged the Bahraini authorities to release Mr Rajab. Given the approach adopted by the UN and the UK’s allies, it would be prudent if your government followed their initiative and maintained a similar policy with regards to both Mr Rajab and human rights in Bahrain. Perhaps by uniting with our global partners, the UK will be able to mount a resilient challenge to the Bahraini government’s current policy and ensure lasting change in line with British values. Suspend the funding of the technical assistance programme until the human rights situation improves, as it appears that the programme is failing to have any meaningful impact. Members of this House have already condemned the decision to uphold Mr Rajab’s sentence. 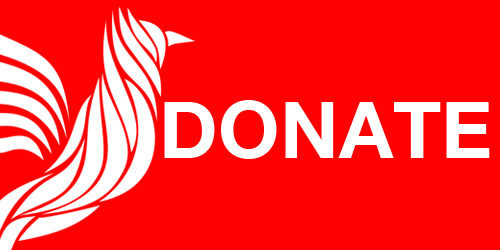 Given the strength of the UK-Bahrain alliance and the UK’s commitment to the promotion and defence of human rights, we believe it is imperative that the UK government adopts a strong position on human rights in Bahrain. Your office must ensure that citizens who simply criticise wars and humanitarian disasters do not face punishment. Expressing concern has proven insufficient; we expect more from our government.